2016 has been a year of (ch-ch-ch-)changes. You know that, we don’t expect you need to read another line written about it. 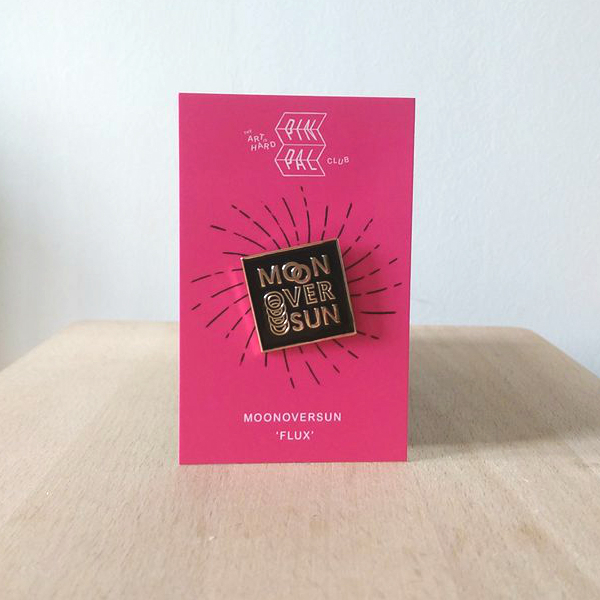 So instead we’ve got something for you to wrap your ears around; the appropriately titled and brilliant sounding Flux from Brighton based MOONOVERSUN. unsettling kind of pop; the beats don’t always keep up, dissonance nudges its way inbetween the harmonies and it’s not always clear what’s a vocal line and what’s a synth. Turn and face the strange. Flux is released 30.12.16 as a 1″ pin badge (with download code) and is available to order from right here. PINPAL11 - comes with backing card and download code.